Reliance Communications (RCOM), India’s single largest dual technology telecom today launched its much awaited 3G Mobile and Data Services in Bhubaneswar city of Orissa telecom circle. As of now Reliance launched it commercial 3G Mobile, High Speed Data services with speed up to 28 Mbps and Live Mobile TV service in Orissa, While other 17 major cities including Cuttack and Rourkela in Orissa circle will be covered in next few days or by the end of March 2011. Rcom also announced the detail tariff for its 3G data and Value added services.The 3G Data plan for Prepaid/Postpaid users starts from just Rs. 97. For convenience of prospective 3G Mobile Service users, there is no changes for Voice and SMS tariff and it will be charged as Reliance GSM 2G Plan and customer can clubbed Reliance 3G data plans as their needs and suitability. 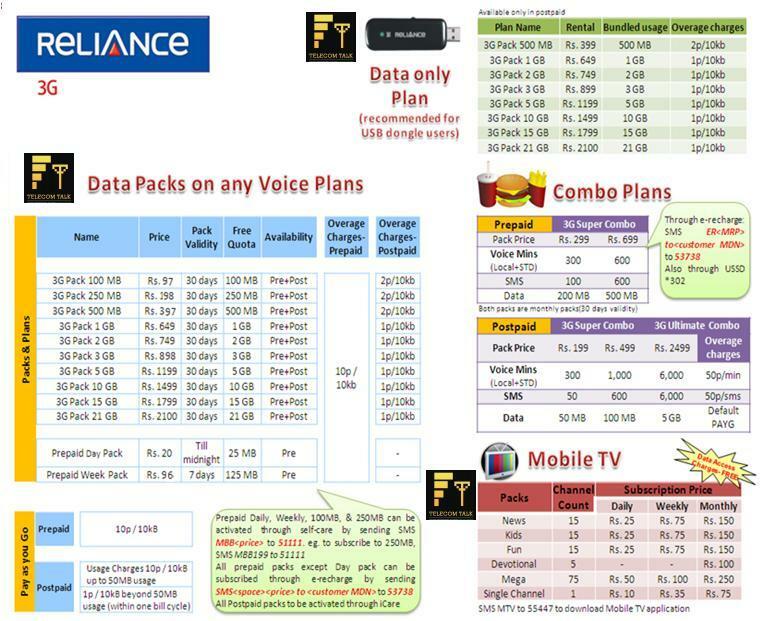 Apart from only 3G Data Plans, Reliance also launched some 3G service Combo plans with bundled tariff that include Voice, Data and SMS, starting from Rs.199. The Default data charges will be 10p/10KB up to first 50 MB usage. 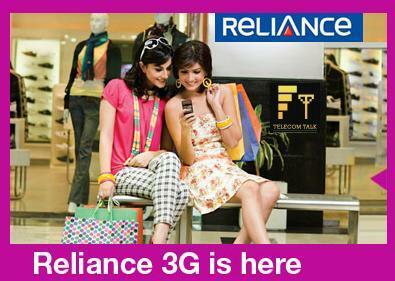 The Voice call and SMS charges will be charged as per Reliance 2G tariff plans.